La Candela. 3* hotel with small rooms and charming terrace. You can book it here. El Charrua. Great classy grill (parrilla/asado) restaurant. El Solar del Convento. Nice and big restaurant close to the main square Plaza 9 de Julio. Try Argentinean wine! Cafe Van Gogh. Uncomplicated cafe directly at the main square for drinks and food. Doña Salta. Restaurant with traditional food, e.g. Empanadas or Locro soup. Café del Tiempo. Restaurant offering a variety of food with two locations in Salta: Balcarce 901 and General Güemes 202. The MAAM (museum of high altitude archaeology) features the most fascinating Inca mummies. They were discovered on the 6700m high Llullaillaco volcano. Museo Histórico del Norte. Museum giving an overview of the colonial past of the city. The MAC is the museum for contemporary art, free entry. The small flea market at Plaza General Don Martin de Güemes takes place every Saturday. 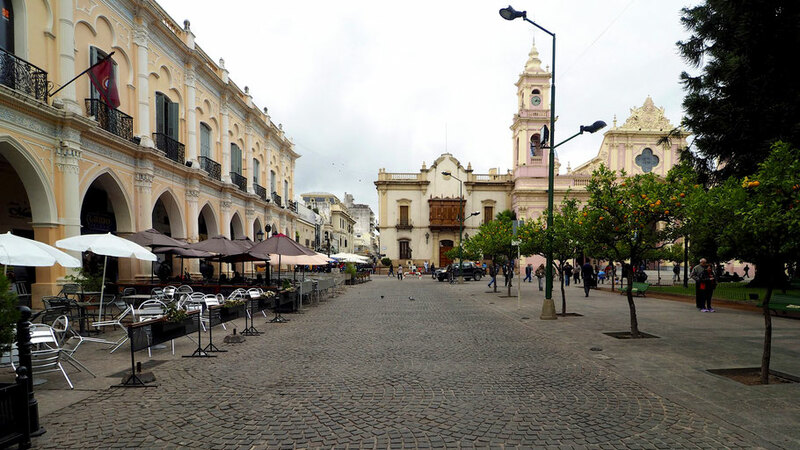 For shopping there are a couple of pedestrian streets going from Plaza 9 de Julio.